I hear it all the time and I get asked all the time about how can I get fitter for riding or I need to improve my “cardio fitness” I get puffed really easy. So today I thought I would shed some light on how you do this and what the best approach is. Because often it is thought that the only way to improve cardio is by running and while running is fabulous you need to know how to do this correctly and also understand it’s not the only way. Where so many people go wrong with running is that they go too fast too soon and they run too much, causing shin splints, sore knees, sprained ankles, hips etc. They don’t balance out their training with strength, core or mobility work. They don’t build a foundation of movement first and allow the body to improve its natural biomechanics and let the joints and ligaments get stronger. You see ligaments take 7 times longer to improve in strength and suppleness compared to muscle. I will repeat that in case you missed it 7 times longer! So you need to allow for this when building any sort of training program. First, let me paint you a picture to explain. Here’s Judy, she works in an office job and she sits for the majority of the day, she rides one horse 3-4 days a week if she is lucky and she does all the normal jobs around the property that taken care of a horse requires. On average that means walking around 5k-6k steps per day. Over the years she has had a few injuries, niggles here and there. She then decides she needs to get fitter, so she picks up running and decides to hit the pavement 5 days a week for a 20 a minute run. She starts off great and then 3-4 weeks down the track pulls up with an injury of some sort and decides this running thing is not for me. This goes on repeat year after year and then she just more and more frustrated and gives up and does nothing, because if she can’t run, then what’s the point. So then thinks this whole exercise thing is just overrated and then gets all frustrated in her riding. Heres the thing, her body was never allowed the time to rebalance, to build its natural biomechanics up and allowed to build its strength up for running on those hard surfaces. It had spent the last few years sitting in a chair and then expected to perform at running. 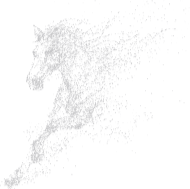 It happens time and time again that we as riders go to fast too soon, yet if you look at any ligament rehabilitation programme for horses, it is so gradual and sustainable, but for some reason, we don’t apply this same analogy to our selves….go figure! Before you embark on ANY running program you need to ensure you have built up and sustained 10,000+ step days consistently for 3 months. This is steps OFF the horse and this is not just “because”, its to allow your body to build its strength, stamina and endurance at a sustainable pace. This allows your body to build its proper biomechanics, improve posture and get your joints, ligaments, fascia and muscles all used to the workload. Vital if you do any sort of desk work or sedentary job. This is an absolute must to help prevent injury down the track and its what is so often missed out. Everyone just goes from sitting to smashing pavements with their body that has been stuck in a chair for months on end and then wonder why they get hurt so often. When we ensure this step is in place we can then build up our fitness and stamina sustainably and often just by ensuring this happens you will find your fitness and “cardio” for riding improves also. 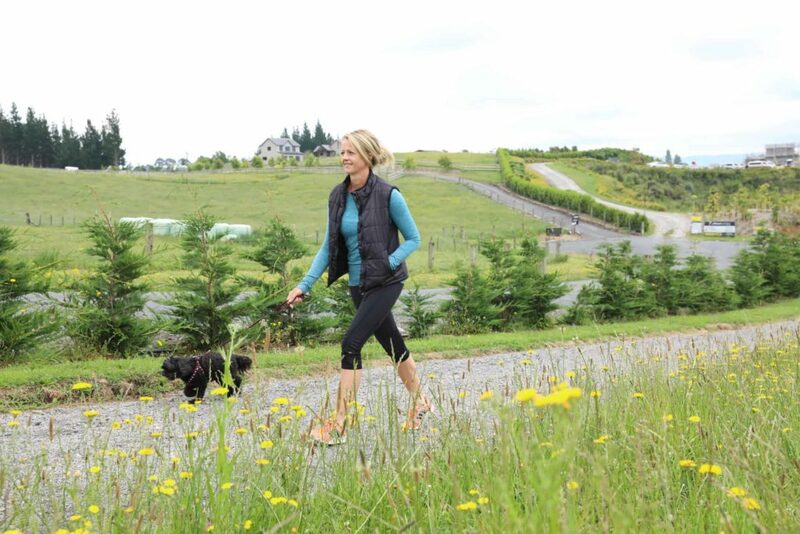 Walking is often underrated as a form of exercise, but the truth is it has incredible benefits and can be done without much thought. Those 10,000 steps don’t have to be in one go. This is accumulated over the period of the day and getting some form of activity tracker like a fit bit is a great first step to help create some clarity on where you currently sit. The thing is, less is more. Smart, effective, intelligent training to make real changes and not just running for the sake of running. You see running every day does not make you a better runner, nor is it a great way to get fitter as you aren’t allowing your body time to rebuild and remodel after the last session. In fact, so many top runners would only run 3 times per week and combine this with strength and interval work. The key is to structure your running so that you are working different energy system and getting maximum results. You are wanting to create the right response within your training to get fitter and stronger quicker without burning out and it affecting your riding. The right balance hormonally, so that you recover and your body gets efficient at burning body fat and so that you improve your stamina when you ride. The key is to gradually increase your strength and endurance and help you be able to run for longer periods of time and so that running becomes enjoyable and your body doesn’t get injured or burnt out in the process. This isn’t by running every day of the week for the same distance and time. Here are your three runs and ideally spaced with a day in between. So for example Tuesday, Thursday and Saturday then on the days between you can do some work on your strength and suppleness with yoga, mobility work and strength programs to help improve you overall alignment and strength. This run is only done once a week and I like to place this ideally on a Tuesday. This is where you will run a set amount of time starting with only 10 minutes and you will try and run as far as you can within this time frame. Gradually you will increase this amount up to 20 minutes. Once you hit 20 minutes, this is where you will stay. This run isn’t about length of time but instead distance within time, leg turnover. Each week you will try and push the distance that you can run in those minutes, or run a distance that takes you around 20 minutes and try and do it faster. The key here is to try and increase your capacity to run further in a short time frame. You will start off gentle though. Go for 10 minutes and try and run as far as you can in 10 minutes, then the next phase we increase the minutes. This is about getting your body stronger, so long drawn out runs will cause injury as you get tired, this short runs you will get fitter and stronger and you will focus this time on running with great technique and posture while you run. Start short though and only do a distance in which you can maintain a good running posture and technique. If you are just starting out running, it’s this run you begin with and you only do this one 10 minute run per week for 4 weeks and then build this up to 20 minutes the following 4 weeks. This allows your body to rest, recover and gives your joints and ligaments time to rebuild. Then in and around that is your 10,000 step days and you can do some yoga, strength workouts around this to help improve your strength, posture and alignment, all of which will help with your running long term. Once you are maintaining your 20 minute time trial run consistently each week, you then add in the next one. Then once per week, we sprint, this is your training on a Thursday. This is your sprint, your 100%! You don’t have to race anyone except yourself. The key is to go at your absolute maximum! There is nothing like sprinting to get stronger legs and ligaments, short sharp smart sprints! Your legs and your core are working super hard to maintain posture, and the response from your body after sprinting is like nothing else! The great thing is this is only once a week. This will increase your capacity to be able to run faster over a longer distance. That means training anaerobically will increase your aerobic capacity, however, unfortunately, it doesn’t work the other way. Meaning if you train aerobically (slow and steady) it doesn’t make you run faster and doesn’t always get you, fitter. So those that just jog throughout their week, never really get stronger at running and often plateau. When you add sprints into your week you will become a stronger runner, your muscles will get stronger and you will get fitter faster. If you are a beginner this is where you add in next after your initial 8 weeks of your time trial run and 10,000 step days. Do both these two for 4 weeks combined before adding in the third run. Warm up well, by doing a 5 min slow jog and a couple of 80% short sprint efforts. Then move into your sprint sessions. 20 second sprint x 8 with as much rest as you need between. 20 seconds sprint with 10 seconds recovery, x 8. 20 second sprint x 12, as much rest as you need between. Now the third and last run you do per week is your long run, this is where once a week you are trying to increase the amount of time that you can run for, your endurance. You are starting out at 20 minutes as your long run if this is easy for you then run further. The key is once a week, increase your amount of time that you run for. Only do this once a week. There is no need to go for much longer than 60 minutes if your goal is 10k runs. Ideally, aim to build up your long run to 45 minutes over time. Saturday – Long Run, start at 20 minutes and build up over time. Now, this whole approach can be applied to cycling, rowing, swimming etc so if running is not your thing, don’t think you have to, this is just here as advice if you feel “cardio” is an area you wish to improve. 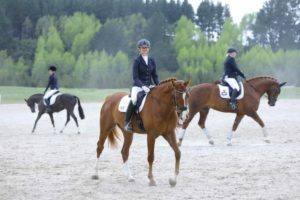 The key is first understanding the vital layer that is your foundation of movement and this is crucial to creating stamina and endurance in your day, all of which is required for riding. So start with getting those 10,000 step days, invest in an activity tracker like a fitbit and be honest with how much moving you are doing each and every day (this doesn’t include riding steps!!). You will find this helps massively towards your “fitness” in the saddle. Then you can add in your time trial training on a bike/xtrainer/rower to really get a sweat on for 10-20 minutes and add interval training in next in the same way, followed by a long endurance session once a week to really help push the boundaries and stamina a little more. Running isn’t for everyone, so don’t feel you have to run if you don’t want to. 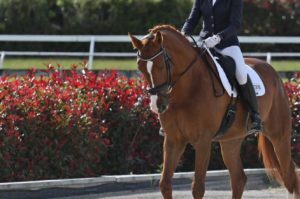 All of this should be done however with some training that helps you improve your balance and posture, even out imbalances and help with your alignment like our 12-week online Dressage Rider Training program. Remember it’s about sustainably building up, so a good place to start always before even thinking about running is with your foundation of movement and your 3 x 20-minute workouts per week like in our program. All this gives you the foundation for success and once you have this in place you can add those runs in, if you feel the need for extra “cardio” and only introduce one run at a time. I hope you have found this useful, do let me know if you have any questions.